Ingram Micro and 2112 launch the Cloud Altimeter Project, an ongoing effort to measure channel transformation and facilitate partner success in the cloud era. Cloud computing is no longer an option; it’s an imperative for nearly every business. IT buyers are increasingly looking to cloud-based resources to augment or replace their legacy infrastructure and applications. And, in nearly every case, IT buyers see cloud computing as a means for making their businesses more efficient, effective, expeditious, and profitable. Cloud computing is like gravity drawing in channel partners. Today, nearly every kind of business operating in the channel – resellers, solution providers, managed services, systems integrators, telecom agents – is selling, influencing, and supporting cloud services on some level. Cloud computing may not be a big part of your business today, but it’s fast becoming a significant revenue and profit contributor. Not everyone moves to the cloud or evolves business models at the same pace. Some solution providers are cloud pioneers, having adopted cloud computing as a core competency and a foundation of their business operations. Other partners are born in the cloud, natively navigating cloud solutions and sales models. Many solution providers are mixing their portfolios, offering cloud services and support alongside legacy hardware and software products. Others are just starting their cloud journey. @The2112Group Cloud Altimeter, aims to benchmark progress solution providers are making in digital transformations. Ingram Micro, Microsoft, and The 2112 Group are partnering to help facilitate that journey for solution providers. Our effort, the Cloud Altimeter Project, aims to benchmark the progress solution providers are making in their digital transformations. From this effort, we’ll provide solution providers with tools for understanding their relative capabilities, competitiveness, and value in the evolving cloud marketplace. The centerpiece of our project is the 2112 Group Cloud Altimeter, a Web-based tool through which solution providers will self-assess their cloud value and capabilities. Through this tool, solution providers will find out what they need to gain greater cloud value and competitiveness. 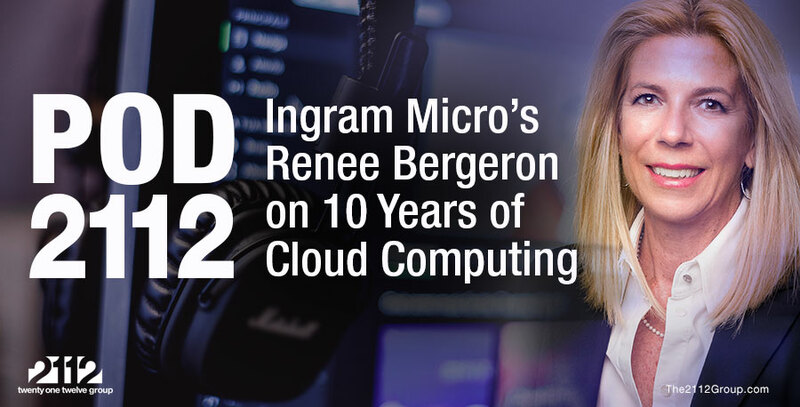 In addition, Ingram Micro and 2112 will produce a series of cloud resources designed to help solution providers improve and optimize their cloud services and support practices at every phase of their cloud journey. Take the Cloud Benchmark Survey - chance to win Surface Pro 4s! The first step in this project is our benchmarking study. Through this survey, we’ll create the framework for providing solution providers with the resources they need to succeed in the cloud era. Our friends at Microsoft are generously providing five Surface Pro 4s for us to give away to randomly selected participants. You can help us by taking the cloud benchmark survey today. CLICK HERE TO GET STARTED. The survey will take just a few minutes to complete. And, if you choose to register, we’ll enter you in the raffle for one of those Microsoft Surface Pro 4s. Cloud computing is an integral part of the interconnected world of the future. We at 2112, Ingram Micro, and Microsoft are committed to helping partners find their way to success in cloud computing and beyond. Join our effort today!